Our personal injury lawyers and staff have the special knowledge and skill required to expertly handle injury cases in specialized areas of the law. We have the experience and resources to take on the largest corporations, insurance companies, and governments in the interest of getting justice and proper financial compensation for our injured clients. Our lawyers have recovered more than three billion dollars for our clients. We are a premier personal injury law firm with more than 40 years experience representing accident victims in car, motorcycle, bicycle, pedestrian, semi-truck, dangerous property and other injury matters. Our lawyers and staff have the special knowledge and skill required to expertly handle personal injury cases in specialized areas of the law. If you or a loved one has been injured in a car accident, we would like to help you. It is important that you get expert advice as soon as possible following a car accident. More than three million people are injured and nearly 50,000 killed in the United States every year in car accidents. If you drive or ride in a car, there is a near statistical certainty that you will be involved in a car accident at some time in your life. For this reason, you always should buckle up, drive defensively, buy safe cars and purchase adequate levels of liability, uninsured motorist and underinsured motorist coverages. If, in spite of your best efforts to protect yourself and your family, you are injured in a car accident, get the advice of an experienced personal injury lawyer at once. We are committed to protecting the rights of injured accident victims. Our law firm never represents insurance companies or product manufacturers. We only help people! We have represented thousands of people, including some of the largest and most important injury cases ever brought in the United States. In the single largest damages case in the history of the world, our attorneys were selected by the Arizona Attorney General as the only Arizona law firm to represent the State against American tobacco companies. As a result, Arizona taxpayers will receive more than three billion dollars to cover the costs of treating tobacco-related illnesses, maintain educational programs to prevent young people from smoking, and fund other important State programs. If you have been injured in a car accident or any other incident, you should consult with an experienced personal injury lawyer. 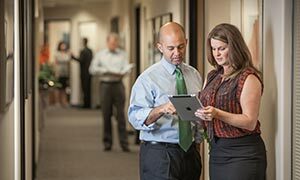 There is no obligation to meet personally with one of our attorneys. We will give you valuable advice about your legal rights and answer all your questions. O'Steen & Harrison, PLC is rated AV Preeminent by the prestigious Martindale-Hubbell Law Directory. This is the highest possible designation and is reserved for law firms with the strongest legal ability and highest ethical standards. 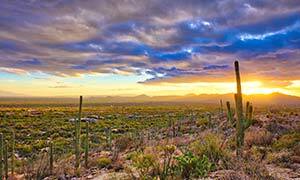 We work throughout Arizona from our offices in Tucson, Phoenix, Glendale and Mesa. 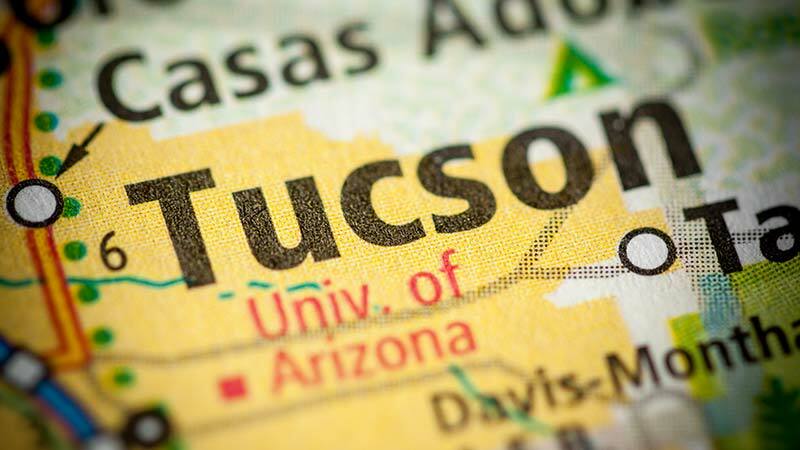 Our lawyers can help you in Tucson, Oro Valley, Sierra Vista, Benson, Safford, Nogales, Marana, Thatcher and throughout Pima, Santa Cruz, Cochise, Graham and Greenlee counties. 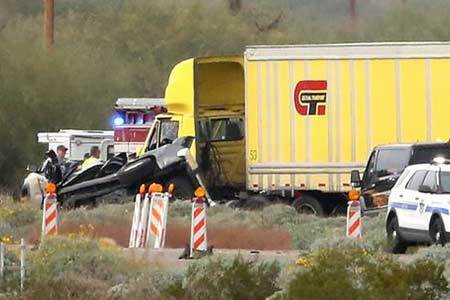 A head-on crash involving six vehicles claimed the lives of four people on I-10 northwest of Tucson on Friday. Richard David and Lynn Davis of Riverside, California and Ellen Bennett of Tucson were among those killed. Stephen Florio died as the result of injuries he received in a motorcycle accident on Saturday afternoon. 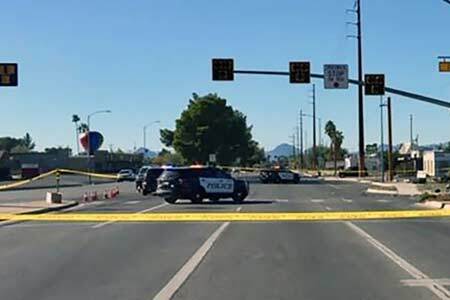 Tucson Police investigators report that Mr. Florio was riding his Harley-Davidson westbound on 22nd Street near Fordham Drive when a sedan pulled in front of his motorcycle. Paul Costello was killed when the vehicle in which he was a passenger left the roadway and crashed into a tree just prior to midnight on Saturday night. The accident occurred on River Road near Samantha Grove Drive in Tucson.